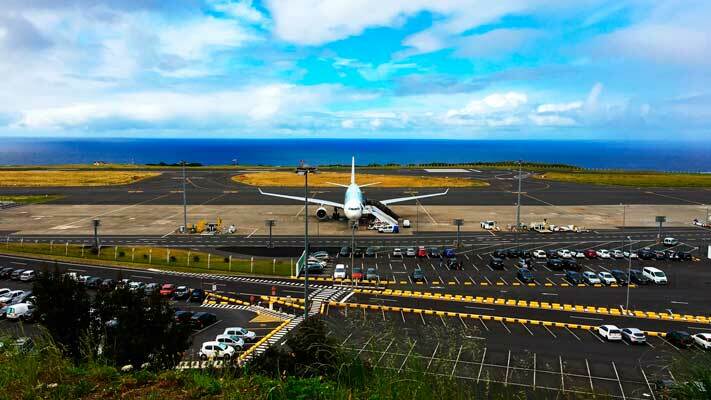 On this website you can find useful information about Ponta Delgada-Joao Paulo II Airport: Arrivals, Departures, Terminal information, Parking, Car rental, Transport, Accommodation, Amenities and Services, among other information. Plan your travel to PDL airport with the information provided in this site. Ponta Delgada-Joao Paulo II Airport (IATA: PDL, ICAO: LPPD), is the main international airport of the Azores archipelago, an autonomous region in Portugal located in the Atlantic Ocean comprised of nine islands. It is located 5 kilometres west of downtown Ponta Delgada, on the island of Sao Miguel. Ponta Delgada Airport not only serves domestic flights to the Azores islands, to Madeira islands and to Portugal mainland (basically Porto, Faro and Lisbon), also to Europe and North America. Ponta Delgada Airport is the main international airport of the Azores archipelago. The Praça do Republic is the main square of Ponta Delgada. Also, if you vist the Praça do Municipio, you’ll see the beautiful city hall building. By taking a walk by the seaside, you’ll be able to admire the beautiful coastline of the city. 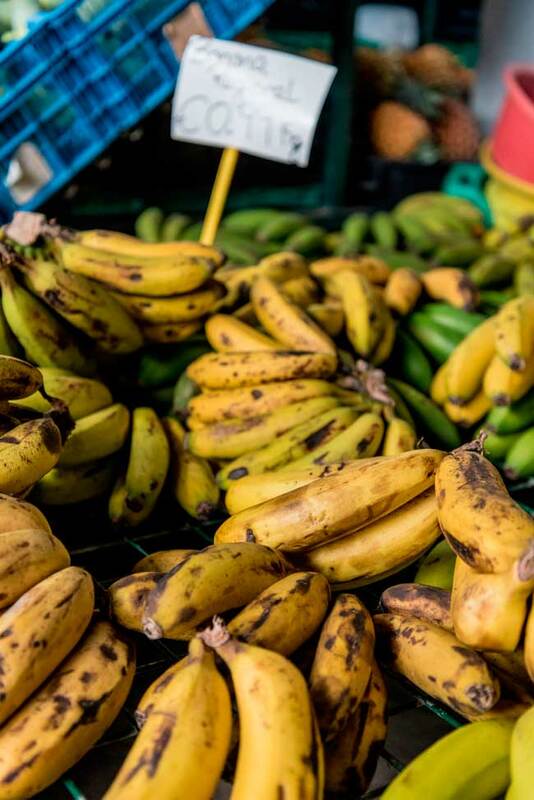 The Mercado da Graça is the local food market. 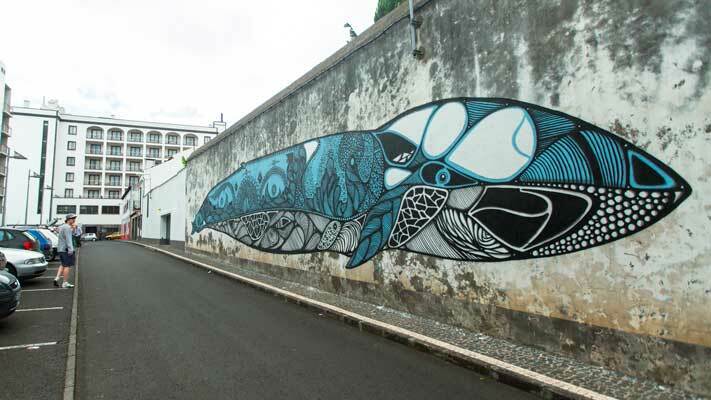 Ponta Delgada features for its street art. From Porta do Mar, you’ll get a panoramic view of the ocean. About the name: Ponta Delgada-Joao Paulo II Airport takes its name from the former Pope John Paul II, to honour the visit of the Pope John Paul II in 1991. Ponta Delgada Airport is the fifth largest airport in Portugal. Ponta Delgada Airport handled 1,515,479 passengers in 2016. Ponta Delgada Airport consist in a single passenger terminal, hosting both international and domestic flights not only to Azores and Madeira archipelago and Portugal mainland, also to the rest of Europe and to North America. Ground level: Arrivals, Departures and check-in area. First level: Family restrooms and a restaurant. Opening hours: From 05:00 am to 00:00 am. Phone: +351 29 6205400 / 800 201 201. Bus: There is a shuttle bus at Ponta Delgada Airport ready to take you to the city centre and to the main hotels. 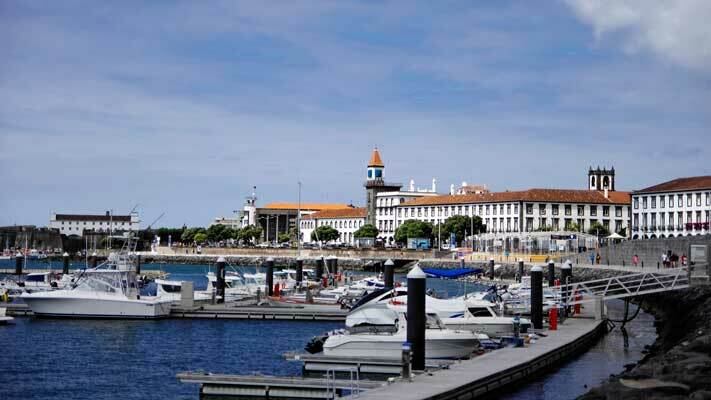 Taxi: You can get within less than 5 minutes to Ponta Delgada downtown if you choose to transfer by taxi. Car rental: Travelling through the Azores Islands can be more easy by renting a car. At the Arrivals, major car rental companies are at your disposal. Don’t forget you can also rent a car through our search engine! Ponta Delgada is the main city of the Autonomous Region of the Azores Islands, in Portugal. The city lies within Sao Miguel, the largest island in the archipelago. The city features for its tropical character, wide seen in its traditions and gastronomy. 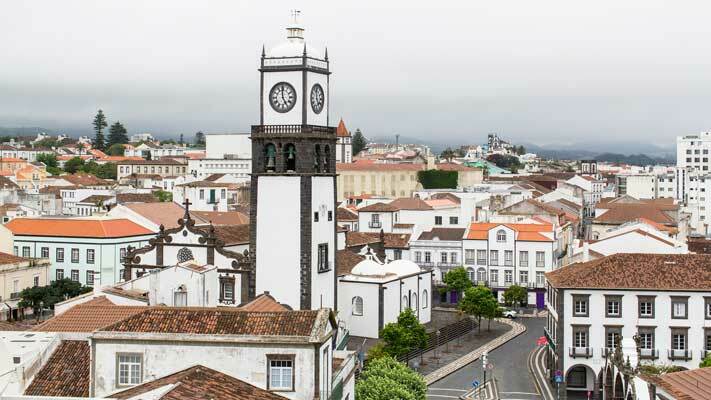 While the administrative capital of the Azores is Ponta Delgada, the Catholic, judiciary and historic capital is still Angra do Heroísmo. On the other hand, the city of Horta hosts the Lesiglative Assembly of the Azores. Ponta Delgada old town is divided into three civil parishes: Sao Pedro, Sao Sebastiao and Sao José. Regarding things to do in Ponta Delgada, you can take a walk in the city promenade by the sea, the Sao Brás Fort, the Mercado da Graça, the Praça do Municipio, Portas do Mar, and alternatively, discover the urban art pieces hidden through the city.